Buying Honda Generator? Let’s face it. A power outage is an unavoidable situation. Many outages can last up to 12 hours or more. 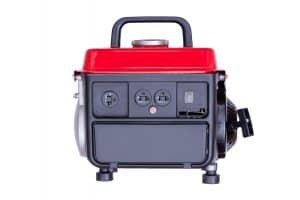 This can affect your stored food and supply purchases, so we are going to discuss Factors to Consider When Buying Honda Generator. The good thing is that you can mitigate such situations with the use of a Honda generator. Having a backup or emergency power source can keep your refrigerator and other systems running efficiently. Plus, you can carry it with you when camping or during other outdoor activities if it’s portable. But before owning a generator, there’s the task of buying one. Honda offers different emergency generators that work well with transfer switches, but not all of them will meet your needs. In this post, we’ll explore some of the key factors to take into account when shopping for a backup generator. The amount of fuel a Honda generator uses determines its runtime before the next refill. For average home use, you’ll want to get an option that holds at least five gallons of gas. These models can provide up to seven hours of operation. However, there are fuel-efficient options like a Honda 2000 generator, which can run up to 9.6 hours on a single gallon of gas. On the other hand, a commercial option like Honda 6500 watt generator uses one gallon of gas per hour when running at its full capacity. Honda EB, EM, and EG series generators have large fuel capacity. This means you can run them for long without regular refueling. The EU generators boast high fuel efficiency, so they can run up to 20 hours on a single tank of gas. So, when looking for an ideal generator, you want to know your power consumption needs and volume. Keep in mind those that use less fuel power are priced higher than heavy fuel generators. When it comes to power output, first calculate the total watts of all systems that you want to power using your Honda generator. The generator must offer consistent power that meets all your needs. Keep in mind that power fluctuations can ruin your systems and equipment. Most portable generators do not have significant power output to power everything in your house but can run multiple systems. For example, a 120-volt generator like the Honda 1000 watt generator is just enough for your computers, TV, lights, and tools. These options are usually fuel-efficient, portable, and quiet. If you want something that powers most of your home equipment and systems, you want to choose a generator, such as Honda 6500 generator, which outputs between 120 to 240 volts. With this generator, you can power your air compressor, power washer, and large power tools. Do you want a Honda generator just for your home or the RV, too? If you’re going to move the generator around, then portability is an obvious factor to consider. In this case, you’ll want to pick an option from the Honda EU series. Portable generators from Honda can weigh less than 46 pounds and are easily carried. Most of these options output 120 volts of power, with only a few hitting 240 volts. Also, they are super quiet, so you can rest assured that you won’t be bothered by constant noise. But still, most heavy options for home use feature a wheel kit for easy transportation. The last thing you want to do is acquire something that breaks down after few years of use. So, when shopping, you want to assess the construction and assembly of the generator. Look at the components and try to compare them to the competition. It should be made with high-quality materials that can withstand different environmental conditions. A good Honda generator should run year after year with minimal downtime. You may want to pick an option with full frame protection to keep the components secure. Some come with reinforced standing legs to prevent direct surface contact and wear. Some Honda models can be quite complex to operate. For instance, you might find one with a starter rope that requires extra strength to start. Instead, go for a Honda generator that has an electric start with the recoil start as the backup. Another tip is to avoid generators with the mechanical-point ignition and find one with an electronic ignition. This can help with performance improvement and make operation easier. A useful feature that most stationery generators possess is the automatic start. In this case, when there is a power outage, the generator kicks in without any manual help. This is a great option if you don’t like a system that you have to start manually. This is where you should spend the most time when comparing different generators against a stated price. However, remember that different models have different voltage regulators, which generally impact the sale price. For instance, there are brushless generators, which boast inexpensive yet robust construction. They are among the most popular but have the least voltage control, and this can cause power fluctuations. In this case, pick a Honda generator that features an Automatic Voltage Regulator (AVR) for voltage control. There are also some models that come with a Digital Automatic Voltage Regulator (DVR). This regulator maintains the voltage stability within a +/- 1 percent change when the generator is running. It has a thermistor that protects it from overheating. Some Honda EB and EM Series generators feature a new technology known as Intelligent Automatic Voltage Regulator (iAVR). The system features a digital ignition, a current transformer, a control unit, and a self-tuning regulator. An iAVR allows your generator to run above its maximum rating for about 10 seconds to initiate high amp draw situations. This ensures consistent power flow for different loads. Transfer switches can be either automatic or manual. For an emergency Honda generator, the switch is usually automatic. The good thing is that all Honda EM and EU generators work seamlessly with a transfer switch, so you can easily power your essential home appliances. If your unit doesn’t have an automatic switch, you can get a manual one. However, the concept of automation doesn’t offer any cost benefits. For manual switches, your choice and switch location will depend on whether you want to power the whole building or just emergency loads. In this case, your technician will help to determine the best switch that suits your energy usage. Generators are known for their constant noise, which can cause ear irritation during extended exposure. The noise can also be quite disconcerting during the night, and such generators may not be ideal for camping, RVing, and outdoor activities. So, check the decibel rating of a Honda generator when shopping for one. For example, for every 10 decibels, the noise level of a generator is 10 times more powerful. Honda 4-stroke engines are known for their quiet operation. You can check this helpful decibel chart to see the noise levels of some of their models. You can find an ideal option in the Honda Super Quiet EU series models. When it comes to fuel type, the most common options for emergency generators include propane, diesel, and natural gas. Gasoline may seem like a great choice, but it’s viewed as a weak fuel because of its short stability life. Cost can also be a factor when looking at fuel type. Your generator’s fuel capacity will determine how much you’ll be spending on fuel. The availability of a particular fuel type within your area is also an important factor. For example, some local codes restrict the presence of propane within certain city limits. So, it helps to think carefully about the different fuel options, and their availability and prices when shopping for the right unit. 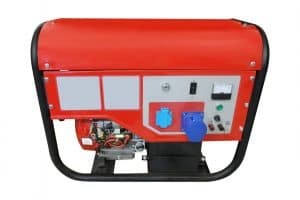 How easy is it to access support for the Honda generator you wish to buy? It can take significant time to get connected with a technician for your specific model if you buy a complex or delicate unit. Generators tend to be forgotten for lengthy periods between power outages. Depending on how and where you store it, it’s vulnerable to failure, especially when you need it most. In this case, you will need a technician to maintain or fix it. In particular, you should be able to find the parts easily whenever you need repair. Make sure the generator comes with a warranty, which should provide adequate information on covered repairs and services. Honda is well known for its vehicles, but it has a product line of generators, too. Their generators are quiet and fuel-efficient and also come with varied features for convenient use. Whether you’re a camper, vacationer or a homeowner, you can be sure to get a portable or stationary option that suits you. Model lines include the EB, EG, EM, and EU, and most are gas-powered to meet most homeowners’ needs. Take the time to look at the wattage, noise level, and fuel capacity of different generators before making your decision. Do you have any thoughts on Honda power generators? Feel free to share them with us in the comments! A portable inverter is a great and sometimes necessary tool for many different situations. If you’re an avid camper or enjoy off-the-grid living, they provide an invaluable energy resource. And many people affected by the recent hurricanes and other extreme weather need alternative power in order to stay safe. Honda’s 3000-watt portable generator has been getting great reviews. Its reliability and compact design is unmatched. Its ease-of-use and fuel efficiency are making it a top seller of 3000-watt inverters. Let’s break down the features of this portable inverter so you can get a better idea of the type of generator Honda has built. This may be the portable generator you’ve been looking for. If you’re thinking of buying a portable inverter, you’ll most likely have an idea of what features you need beforehand. There are a number of portable generators on the market that offer efficient energy solutions. This particular model of generator has the ability to operate many appliances and devices, including refrigerators, microwaves, and 13,500 BTU RV AC units. It utilizes the Eco Throttle System which allows for top fuel efficiency. It can run for up to 20 hours on a small 3.4-gallon tank. Inverter generators work by outputting an AC current and then converting it to DC. It is then inverted back to AC power which maintains a single phase. This type of technology makes for cleaner and more efficient energy. Inverter technology has been refined by Honda and this generator is a great example of that technology at its finest. Although this model is a bit more expensive than other Honda 3000 watt generators, it provides a more reliable source of energy with many other sought-after features. You will certainly know where the extra money went when you buy this inverter generator. A huge downside to using a traditional generator is the high noise levels. It can be infuriating to you and your neighbors. Sometimes the situation you’re in requires a quieter Honda generator. When you’re on a camping trip, you can’t always be running a loud generator at night. In fact, many campsites and parks have noise ordinances that restrict you from using loud equipment. If you’re using a generator at home you have to take your neighbors into consideration. A loud generator is a major annoyance to you, your family and the people around you. Honda is known for their quiet engines. A huge advantage of the Honda EU3000is is that it’s significantly quieter than other generators its size. This model was designed with an enclosed body which drastically cuts back on noise coming from the 196cc engine. Generators are typically labeled with a decibel rating which tell you how loud they get. Each time the decibels are increased by ten points, the engine is ten times as loud. This particular model runs at between 49 and 60 decibels, which is no louder than a normal speaking voice. When you’re shopping for a small generator you don’t want to compromise portability for design. You need a machine that is both well-made and small enough to transport easily. Where am I going to be taking it? Who will need to be able to use it? How durable is the unit? The Honda 3000 generator provides quality craftsmanship along with easy mobility. This generator weighs about 131 lbs. and has two durable handles for transport. Very easy for two people to carry. The motor is enclosed nicely to provide a compact design and quiet functionality. This unit can easily fit in a RV, trailer, pickup truck or be tucked away nicely when not in use. Honda tests its products extensively and has used the best possible materials in designing the Honda 3000 generator. A trademark of Honda products which is not lost on the Honda 3000 watt generator is ease of use. This model contains an electric starter along with a backup recoil starter. And the recoil starter is extremely easy to pull. Operating the control panel is very easy compared to other small generators. Another big advantage of the Honda 3000 generator is the ease with which oil can be added and changed. The oil compartment is located on the side of the unit and opens for easy access to the oil compartment. One downside to this generator is that it was not designed with wheels attached. However, Honda generators provides a two or four wheel kit that can be used with the inverter for easier mobility and transport. Other accessories available for this unit include a storage cover, DC changing cord, parallel cables and a transfer switch. If you’re in a situation like many have experienced during the recent hurricanes, you may be without power for quite some time. You want a generator that is fuel efficient with a long run time. Like many of their products, the Honda 3000 provides both of these. This portable generator has the ability to run for up to 20 hours on only 3.4 gallons of gas. Even if you’re running at the rated load, you will still have over seven hours of run time. The Honda 3000 generators also has the Eco Throttle feature. Using the Eco Throttle will adjust the engine speed to match the exact amount of power needed. Using this feature ensures maximum fuel efficiency if power is needed for longer amounts of time. The Eco Throttle feature works by slowing down the RPMs of the engine based on the application being powered. It uses a speed control governor that automatically adjusts the engine speed to the optimum level. Because the engine will not have to run consistently at full speed, the Eco Throttle feature can reduce fuel consumption by up to 40 percent. This feature also helps reduce exhaust emissions from the generator. The power output of generators is controlled by voltage regulation. It’s important that your generator maintain consistent power output. Any fluctuations in output could result in shutdown or damage to the appliance. The Honda EU3000is uses a GX200 engine that provides a 196cc displacement. While there are a number of different ways to regulate output on a generator, this unit is an inverter. Inverters will produce the cleanest power. This means they are ideal for powering sensitive electronic appliances, even computers. Inverter generators like this one are also lighter and more fuel efficient than other traditional types of generators. They are typically quieter as well. The EU series is a great example of Honda’s reputation as a pioneer in the field of inverter generators. Another benefit of the inverter technology used in this unit is parallel capability. This allows you to link two of the same generators together to get double the power. This means that if you need more power you don’t have to upgrade to a larger, heavier unit. You can maintain the same convenience and portability by connecting two units together. And linking two units together is easy and straightforward. Honda offers the parallel cables as accessories to the EU3000is. If you think that you’ll need to link two generators together for more power, this is a feature you’ll want to have. When you make the decision to buy a Honda 3000 generator, you are making a huge investment. Honda has a track record of backing up their products with quality service and support. Their generators are backed by a comprehensive warranty and first class service all over the country. Parts and service from trained Honda professionals is never hard to find. Whether you’re a seasoned camper or live in an area that is frequently affected by harsh weather, you need a generator you can count on. Honda has been refining their generators to provide energy efficient solutions when power is needed. Their inverter technology has taken generators to the next level. If you’re looking for a new portable generator, the Honda EU3000is is one of the best on the market. The simple and compact design has been coupled with durability and maximum fuel efficiency. This unit provides reliable and easy-to-use functionality that will last years. For a great generator that provides the clean energy found in inverter technology, consider the EU3000is. You will quickly see why it has become such a successful and popular product. Rural Living provides information on generators and general outdoor living. Our articles cover everything from off-grid living to sustainable food practices.